So go on, take a tour of the fantastic rooms below. Moana's living room is bright and cheery — just like the strong-willed character herself. 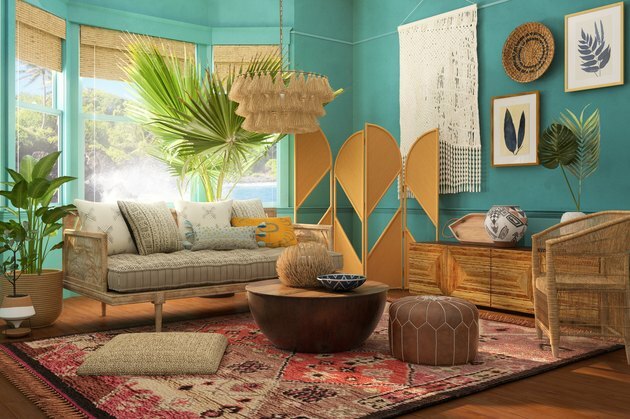 Given the princess' Polynesian heritage, the apartment is an island-inspired space, featuring pieces like a CB2 rattan credenza and fern wall art from Anthropologie. Also, check out the CB2 rattan room divider that resembles a ship's sails. You'll find all of Belle's signature elements in her living room. 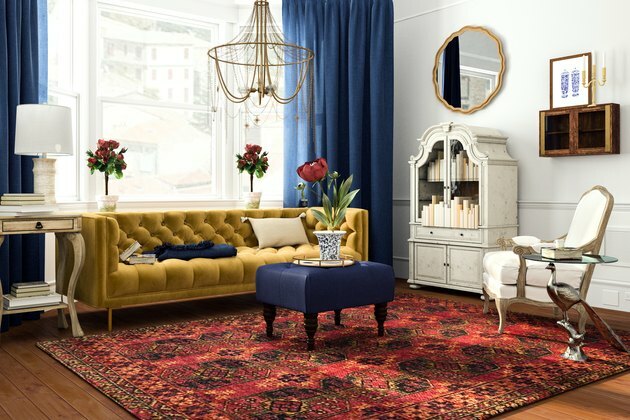 The yellow Mina sofa by Anthropologie recalls her stunning gown, while an antiqued china cabinet from Wayfair holds her library. The entire space oozes with a delightful French romanticism that has us longing for a vacation in a provincial town. 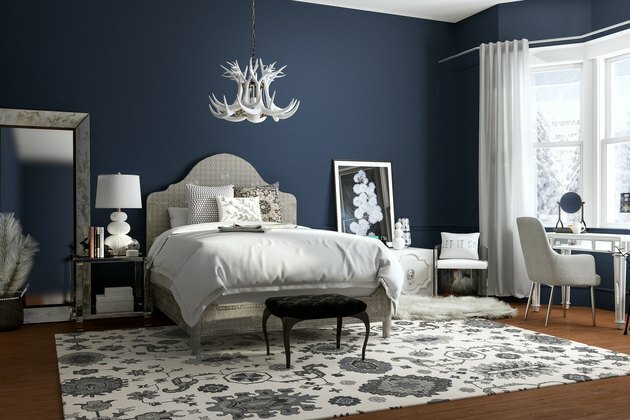 Norwegian Elsa takes a Scandi-chic approach to her adult bedroom with an icy blue-and-white palette. The white antler chandelier from CB2 adds a touch of rusticity to an otherwise modern space, while the patterned rug from Crate & Barrel nods to Norwegian folk crafts. Given Snow White's penchant for nature — she can charm animals with her voice, after all — it comes as little surprise that her bedroom takes on a forest-inspired aesthetic. 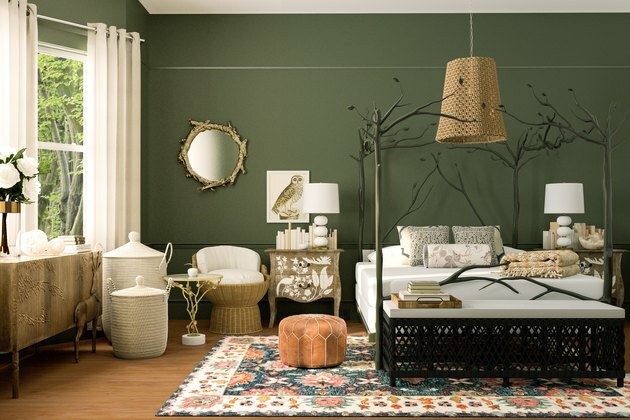 We love the woodsy canopy bed and side table by Anthropologie, as well as the mirror from Wayfair. After escaping from the clutches of her evil stepfamily, Cinderella finally found her happily ever after with her prince — and this living room. Modsy's team imagined a space that's inspired by Cinderella's new royal life, notably the regal tulip chairs and sofa by Anthropologie. You'll also find subtle details that recall the life-changing ball, like the pumpkin-inspired pouf from Wayfair. Mulan's minimalist living room is midcentury modern meets China all the way — and masculine meets feminine, honoring the princess' warrior life. 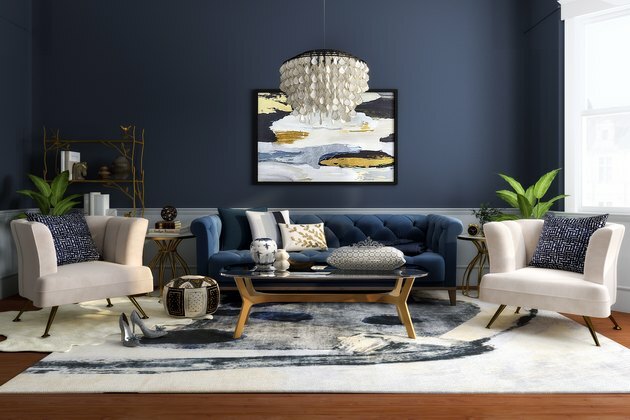 We're all about this vibe, but we're particularly partial to the wood pendant light from Crate & Barrel and the timeless Barcelona chair, which you can get from Design Within Reach.